Plant your seeds today and watch them flourish tomorrow. The ImagiWorkers are ready to motivate with our inspirational quotes on canvas print. 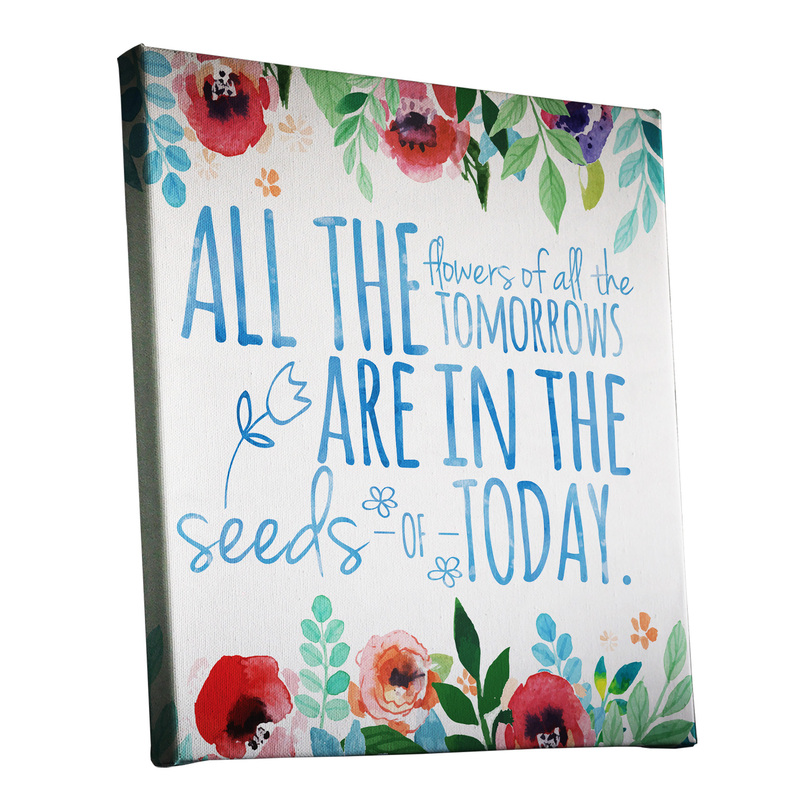 Our ‘ All The Flowers of All The Tomorrows Watercolour Canvas Print’ as part of our ‘Watercolour Canvas Prints’ range will brighten up your living space with the magic of this prudent everyday reminder. Our Watercolour Canvas Print and Design range is perfect for any bedroom, living room, dining room or study area. *.JPG & .PDF design file for print included only. *Custom sizes available – for more information, please email store@imagiworks.com.au.